A hug from this cute Coca-Cola polar bear could warm up even the chilliest winter day. Playful and sweet, he's ready to make new friends. The polar bear is made of cuddly soft plush and is wearing his signature Coca-Cola embroidered scarf. 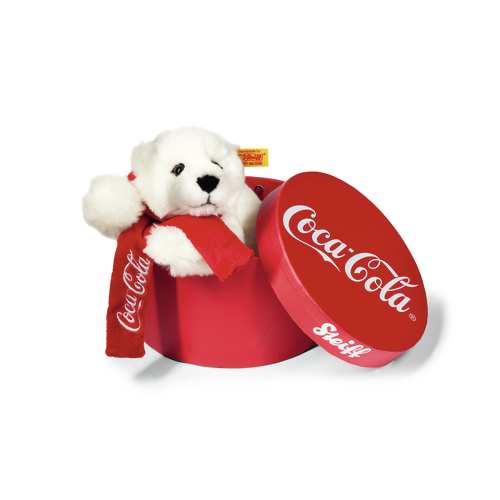 Packed in his bright red box, this little polar bear makes a beautiful gift for any lover of Coca-Cola.